Nothing much brighter than the Bougainvillea! Love them, bougainvillea's look good in a ny garden !! Be it in what ever colour !! 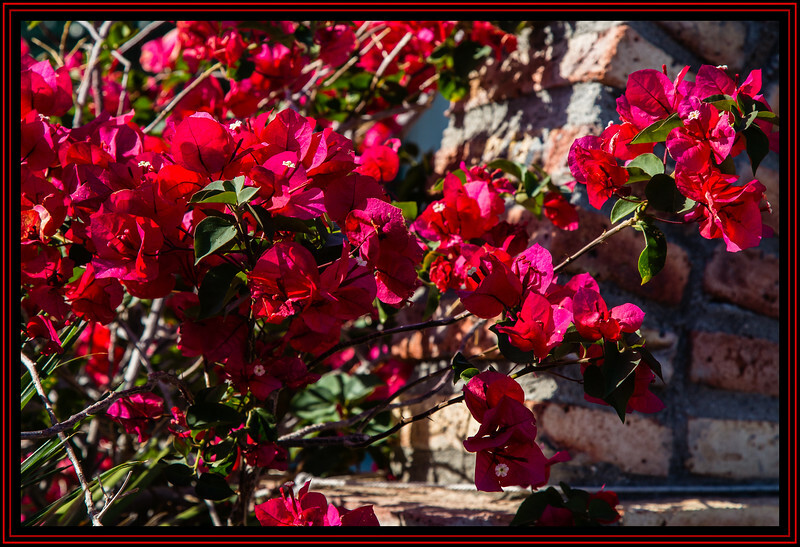 Bougainvillea in any color is pretty, but it's a little to invasive and thorny for me. Great shot. Beautiful shot. Though it isn't hardy in my regional climate, it is a welcome addition to local plant conservatories.